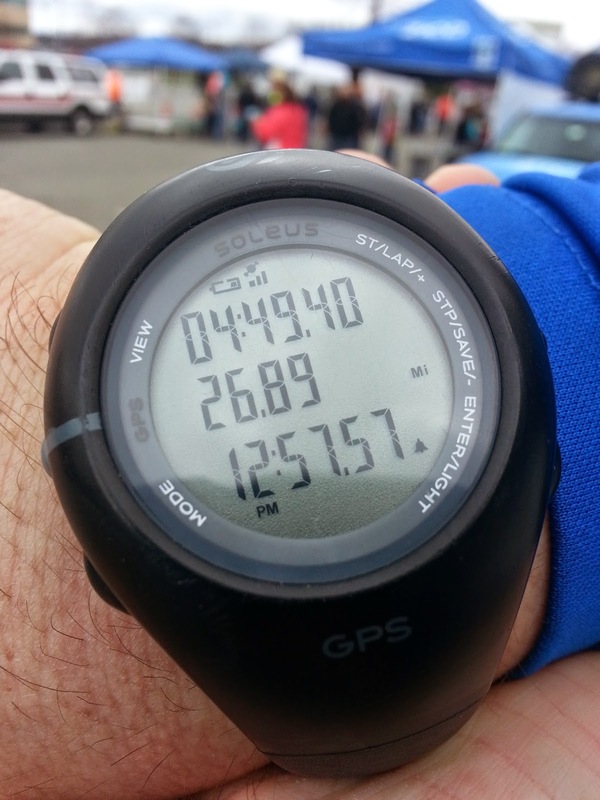 Tales of Running: Marathon #2: Ok, At Least, I Finished! That's my "Oh God, It's Finally Over" look. So I ran 26.2 miles yesterday for the second time in my life. Interestingly enough, it was much harder this time around mentally and physically. This is interesting because I feel like I've been training more properly for this race than I may have for the first marathon that I did. I completed the run and feel I did accomplish something but that my time was nearly 15 minutes slower than my first marathon and I feel in much rougher shape today than I did the day after I did my first is a little disappointing. I ran it in just under 4:50. With my last 1.2 miles, being done at a 6 mile per hour clip (that is, 10 minute mile speed). I feel some victory there in being able to still do 10 minute miles at the end of this run. I also think this course was significantly different from the the first marathon in that it had a lot of hills and some steep ones for sure. The Bay State Marathon had hills but they were gradual inclines for long distances. The Earth Rock Run had hills. It looped as well so I knew well enough what was coming up in the second half of the race. Besides the hills, the weather was a mixed bag. It rained throughout the first half and was in the 40s. While there was no direct sun which prevented energy drain, the cold did its share a wearing on me too. Besides sore muscles, I didn't get nearly as much physical ailments from this race as I've discussed before. I made proper use of Vaseline which helped a lot. While overall my running has been going well, I've been averaging lower-30 miles a week and the last two months I've cleared 130 miles in a month. I've been impressed with how much more running I am doing. However, there were some indicators that this race wasn't going to be my best. 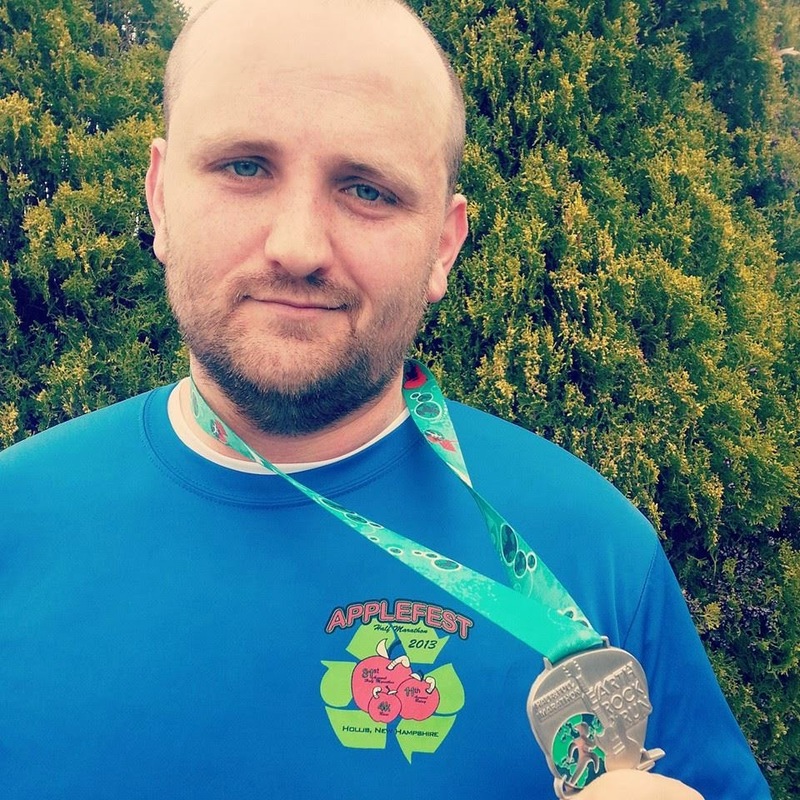 Two weeks ago, I ran the Fools Dual Half Marathon (5K and Half-Marathon). I ran the 5K portion nice and light to loosen up. However, the Half-Marathon I was hoping for something along last year's season ender (within the 2:05-2:07 time range) but came in at just over 2:12. This was a hard and hilly course that I definitely was struggling with to maintain focus. The two weeks in-between I was distracted with projects at work as well as going away for 5 days (and getting engaged!) and though I got in some runs, I was still not quite back to where I wanted to be with runs. My next marathon is in 2.5 weeks. It's a 5.2 (or close thereto) mile loop that you complete 5 times. For some reason, I think mentally, this could be an easier race to pace and strategize than some of these others that are either 2 big loops or one long distance, but I guess we'll find out. Before that, I have another half-marathon next weekend that I'm hoping will be able to improve upon what I've done thus far. Even though it's not where I'd like to be at this point, I feel like it's still further than where I have been before so there's that to appreciate and recognize. It also sets a nice low bar to start the season with and mark accomplishments.